Silver Gothic Hearts Necklace : LOVE2HAVE in the UK! 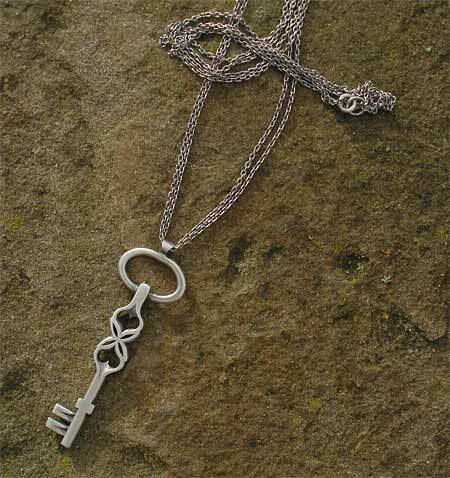 This silver Gothic necklace is the matching piece to the silver Gothic key bracelets also on our website. Again it has a lovely designer Gothic quality to the design with some fabulous ornate and very unusual styling. It features Gothic hinge parts with dark heart shapes as the silver has an oxidised finish in the recesses. 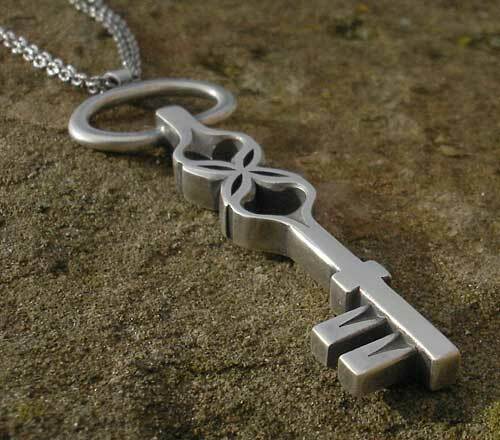 It's not hard to imagine that the key unlocks a gateway to the darkest places. The pendant also features a key-shaped styling too. It measures approximately 55mm in total height and hangs from a double trace chain that is about 22 inches long. Size(s) Available: 22 inches as standard.